Wow what a great stumble to find out about this little gem – this ‘Sketchbook Project’ is such a brilliant project which was brought to life via crowdfunding in 2006!! It’s known to date as the biggest sketchbook library in the world, based in New York City – holding over 36,000 sketchbooks within its space! It’s like a road trip, but with sketchbooks, and anyone – from anywhere in the world – can be a part of the project. Every sketchbook contributed to the Project will be included in the traveling library and exhibited in cities and towns across the continent. We are including more cities at every opportunity with our custom-fitted Mobile Library trailer. Cities include Brooklyn, Toronto, Chicago, Portland, Austin, Atlanta and the San Francisco Bay Area and many more. After the tour, all sketchbooks will enter into the permanent collection at Brooklyn Art Library, where they will be shared for the world to see. Sign up, receive a blank sketchbook, fill it up and submit it to the world’s largest collection of sketchbooks. Your book will become part of Brooklyn Art Library’s permanent collection and will travel as part of our nationwide art exhibitions! 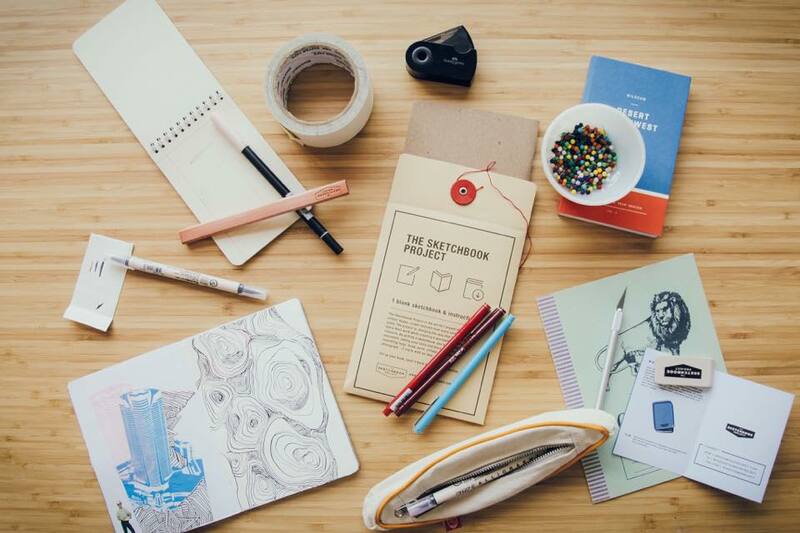 Submit your work to the world’s largest collection of sketchbooks. Where it will reside in Brooklyn Art Library’s permanent collection, travel to exhibitions across the country and become part of a massive worldwide community of creative people. Anyone – from anywhere in the world – can be a part of the project. To participate and receive a sketchbook which will become part of Brooklyn Art Library and our traveling exhibitions, so sign up today.